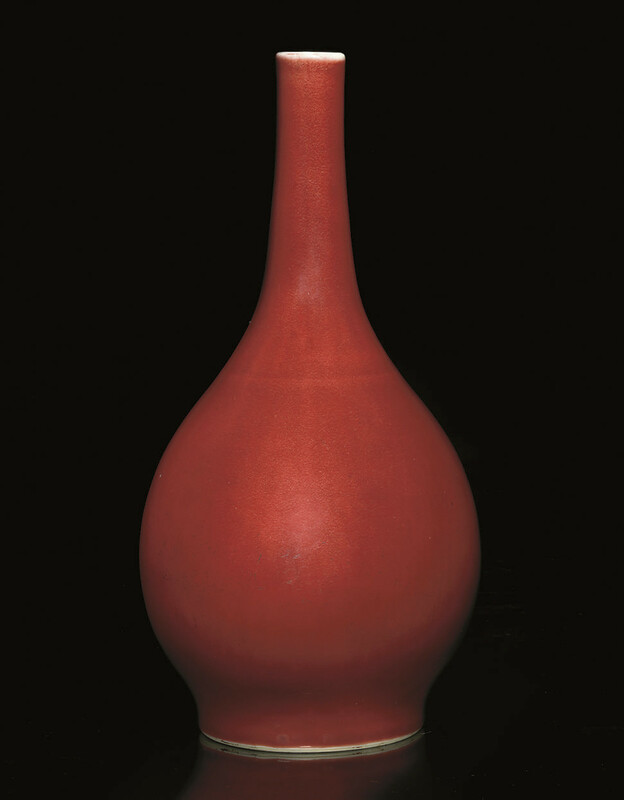 with globular body and long slender neck, covered in a deep red glaze thinning around the rim, with white glazed base and interior -- 13in. (33cm.) high.